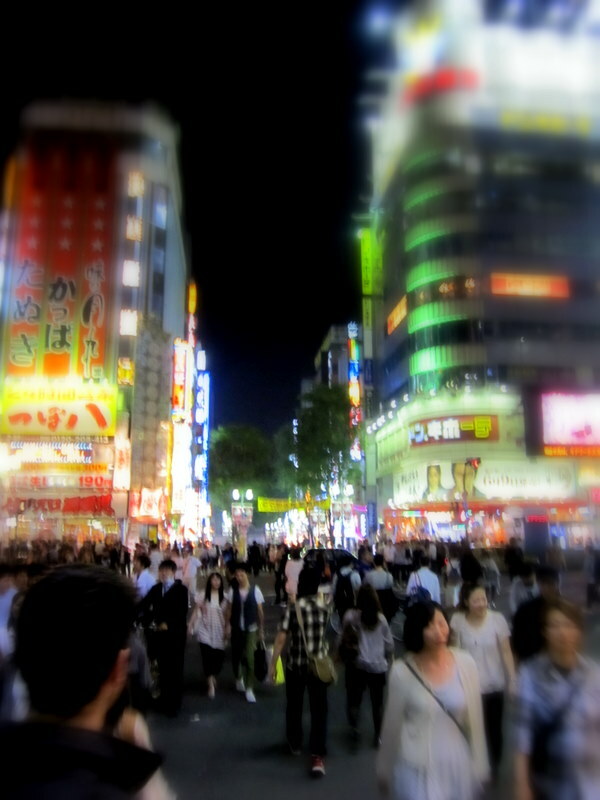 Shinjuku is one of the busiest districts in Tokyo- full of skyscrapers, neon lights, energetic crowds &, hello, the 2nd largest train station in the world (meeting up with your friends in this area is not an easy task). 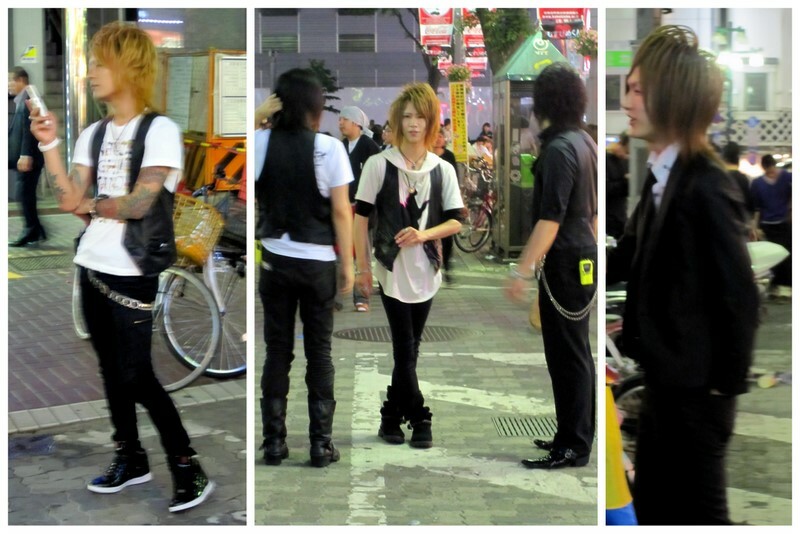 (1) The man-hair of Shinjuku is out of control. I think these guys are club promoters, and frankly, I’d follow their hair anywhere. 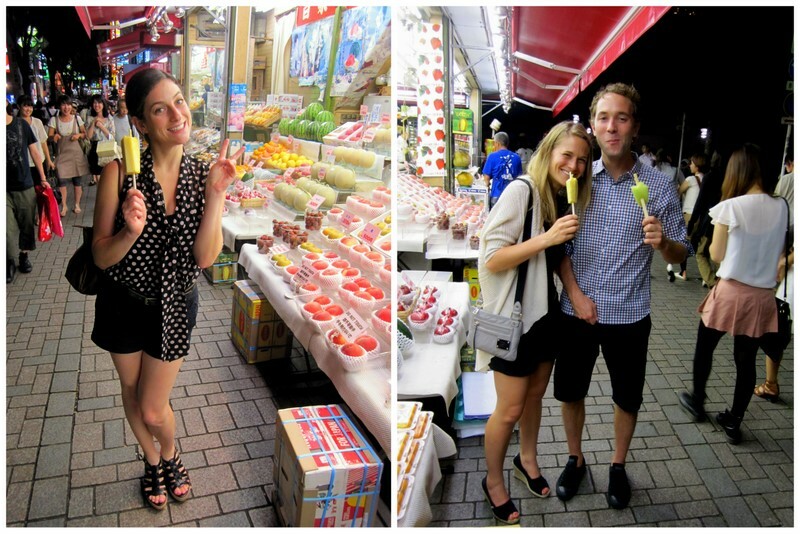 (2) G & I found a fruit stand in Shinjuku selling fairly-priced watermelon and pineapple slices on a stick. What? You don’t think that cheap tropical fruit merits love? 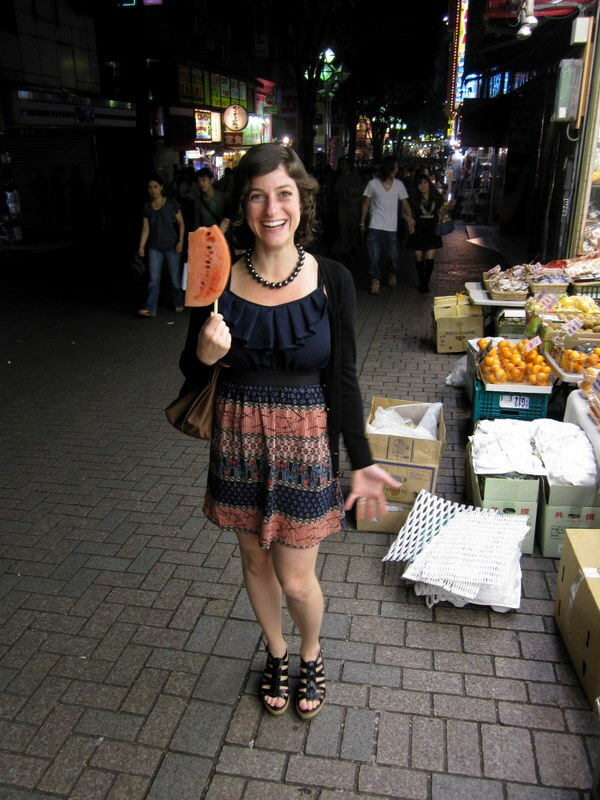 Try living in Seoul, where watermelons are paid for in gold. Then come talk to me. 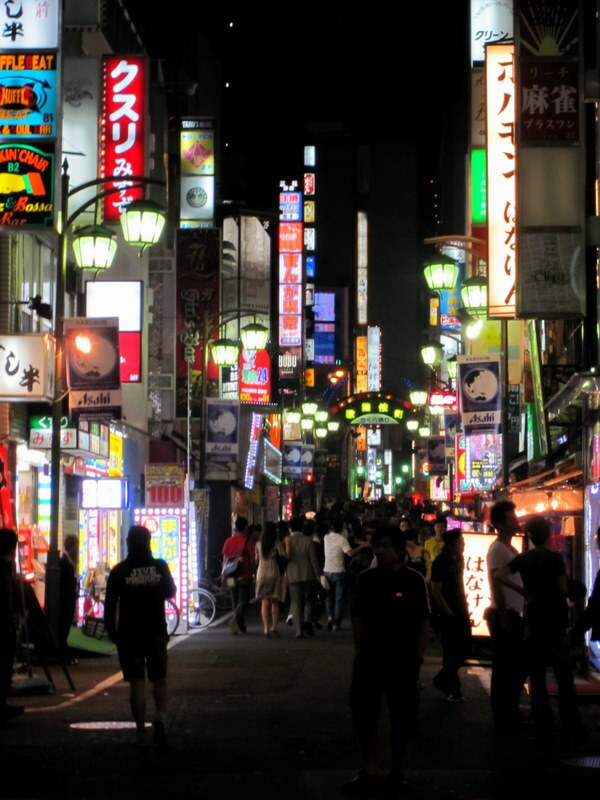 (3) Shinjuku is home to Kabukicho, Tokyo’s well known red-light district. Okay, I know this sounds terrible, but I do find it extremely interesting to walk around these brothely areas of town – especially when they are seedy, but safe. 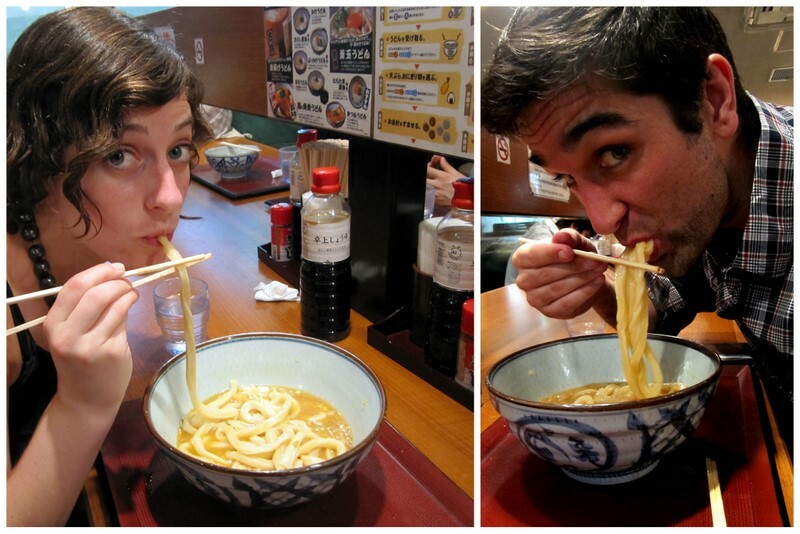 (4) Nothing revs up ones hunger like walking around peep shows and cabarets (or not), & thanks to G’s food-spotting skills, we found the best hole-in-the-wall udon place that Tokyo’s red district had to offer. 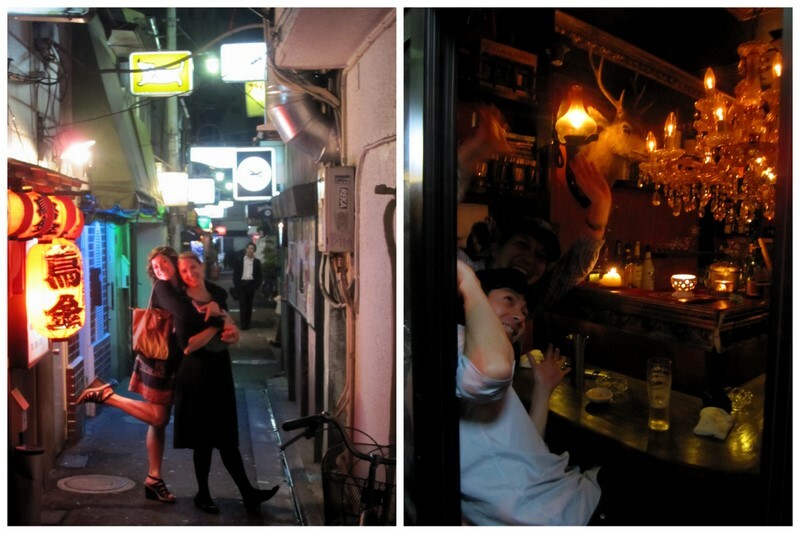 (5) Last but not least, my absolute favorite part of Shinjuku is Golden Gai, an area comprised of 6 rickety & narrow alleyways, containing over 200 tiny tiny tiny tiny bars. How tiny? 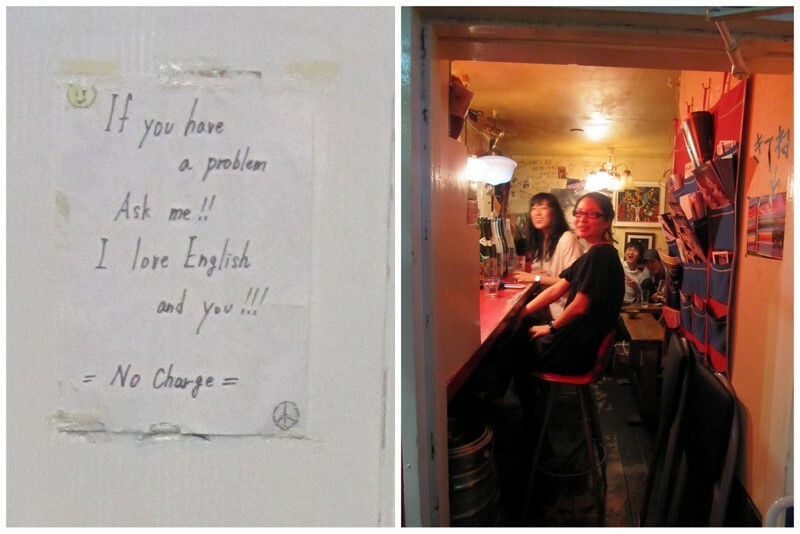 5 people at a bar- tiny. 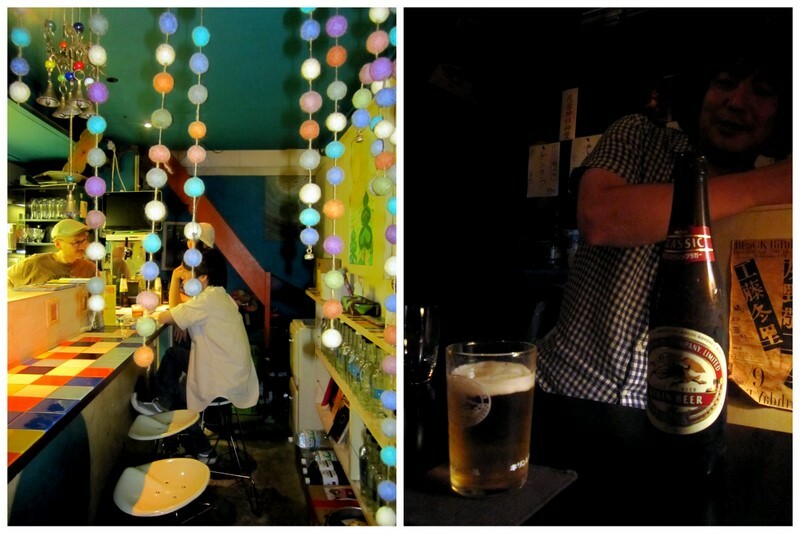 I was totally smitten by the Golden Gai bars because they are both uniquely intimate and artsy. 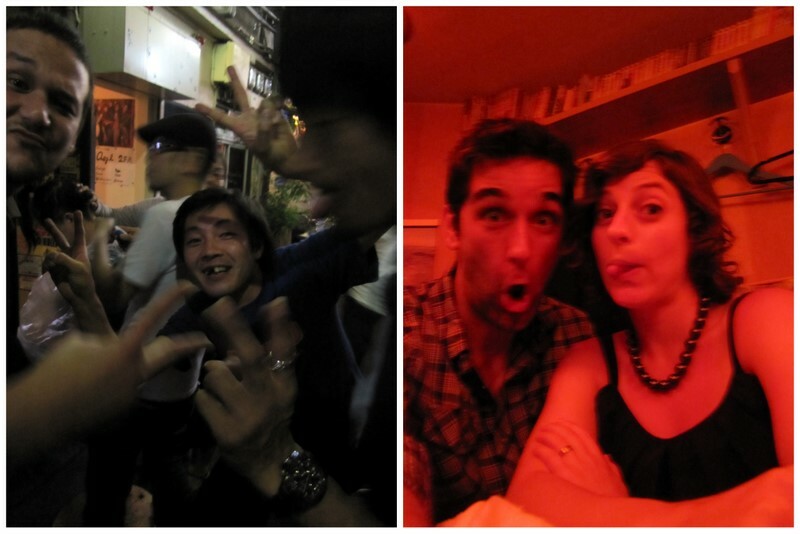 Almost every little bar has a different theme: flamenco, jazz, piano, classic movies, karaoke, pop – making it extraordinarily fun for a pub crawl with friends. On a completely unrelated note, I have a quick confession- I’m falling asleep at my computer & I think it’s about time I put myself to bed. 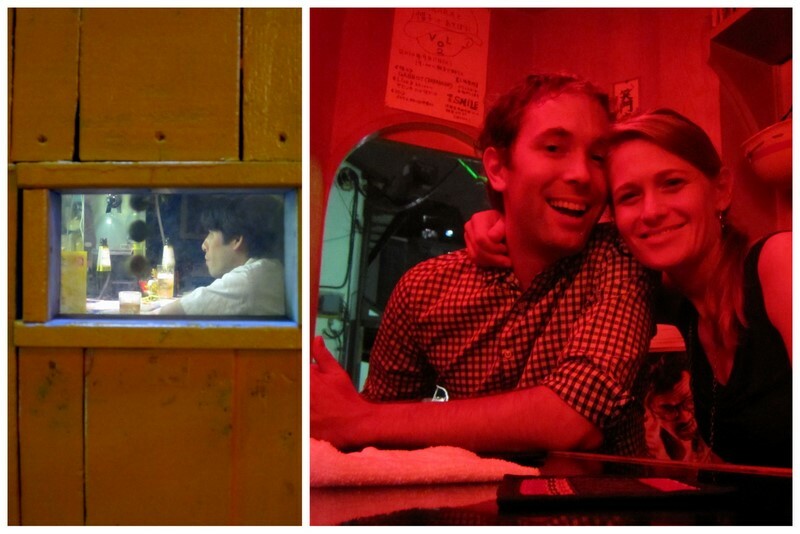 If you are still interested in my adventures in Tokyo, I’ll be writing Highlights Part 3 this week.